Highly trendy and equally functional, Skechers is one of the most versatile brands for shoes in the footwear market. 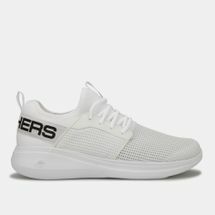 Check out some of the best Skechers running shoes, Skechers sandals and much more on offer and find yourself that perfect pair to take home from Sun & Sand Sports. 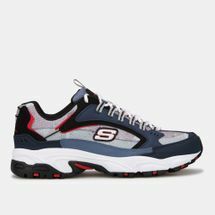 Skechers shoes for men and women is an American footwear company headquartered in Manhattan Beach, California, and was founded by CEO Robert Greenberg and his son Michael in 1992. After Robert left LA Gear, which he had founded in 1983, the Greenbergs set up Skechers as a distributor for Doc Martens. 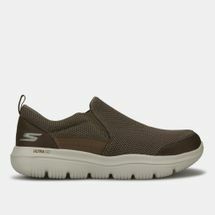 The early products from Skechers were utility-style boots and skate shoes; the company has since diversified to include many options of athletic, casual and dress styles for men, women, and children. 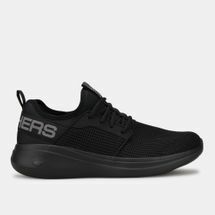 Skechers makes an effort to maintain a trendy and stylish brand image by using celebrity-driven advertising, and has promoted its product with The Voice television show winner Danielle Bradbery, TV personality Brooke Burke-Charvet, marathon runner Meb Keflezighi, quarterback Joe Montana, and entrepreneur Mark Cuban. 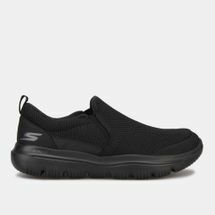 Skechers shoes for women and men highlight the need for comfortable and easy to wear shoes that can be used for multiple purposes. 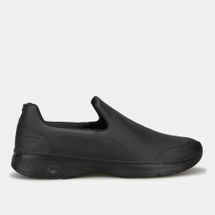 Boasting high functionality with equal amounts of comfort, Skechers shoes are undoubtedly worthy of being an award-winning brand. Have the Skechers shoes delivered to your doorstep in Dubai, Abu Dhabi or anywhere else in UAE.